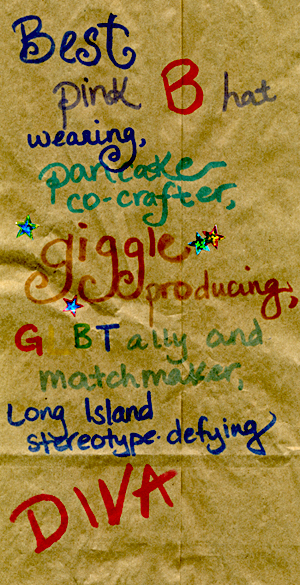 I was walking to work and walked over an empty brown paper bag with multicolored writing on the visible side. I paused to read it without bothering to pick it up, and continued on my way. After walking a few blocks I couldn’t stop thinking about the sweet thoughts written on the bag (and wondering what had been inside the bag originally) and decided that it needed to be rescued.